Hi Chi Minh City's flamboyant colonial town hall. Founded only in the eighteenth century as Saigon, Ho Chi Minh City is a newcomer among cities by Asian standards. Yet it has packed plenty into a short time: it quickly became a major commercial and trading centre, the capital of French Indochina, and infamous during the Vietnam War. The country’s biggest city, with some eight million inhabitants, Ho Chi Minh City today is in the midst of a pulsating economic revival that makes it one of southwest Asia’s most exciting cities. It’s also the starting point for river cruises along the nearby Mekong River; passengers usually spend a night or two in a hotel here before boarding on the river at My Tho. 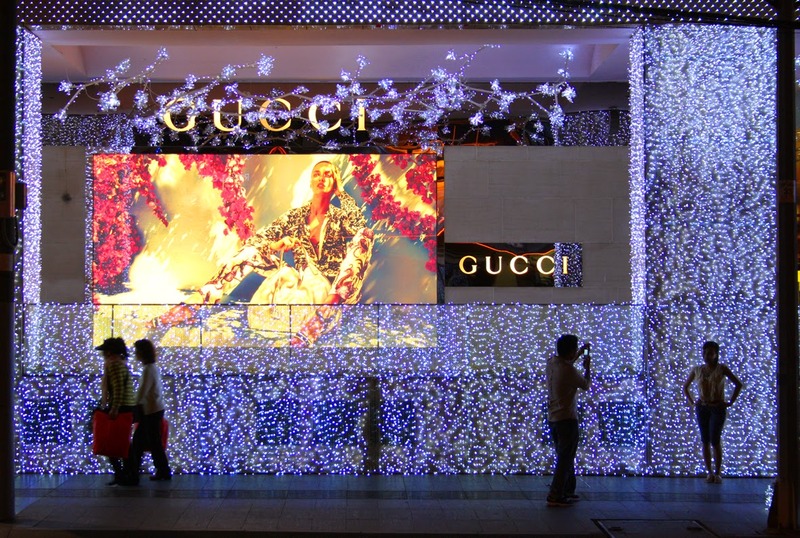 Luxury Dong Khoi shopping street in Ho Chi Minh City. Brash and busy, Ho Chi Minh City’s new luxury hotels and office blocks sprout like mushrooms, sophisticated bars and fashion boutiques fling open their doors, and the streets are a never-ending parade of honking traffic, frenetic shoppers, street hawkers, pickpockets and trendy teenagers giggling into mobile phones. Nothing says Vietnam like the hordes of motor scooters that buzz along its streets. The brave can join the motorized throng – and get a quintessential Ho Chi Minh City experience – by renting a motorbike for just US$5 per day from hotels or the shops along Pham Ngu Lao. (Technically you need a motorcycle license, though nobody asks.) The less confident can hire a motorcycle taxi for under a dollar. Keep your knees in tight. You’ll end up with white knuckles, a grimy face and a feeling of crazy exhilaration. Ho Chi Minh City's colonial-era post office. The old Saigon is still there too, however: French-style bakeries and tree-lined avenues, ladies in silk ao dai dresses, old neighbourhood temples where incense drifts, and an impressive array of colonial architecture described as ‘tropical Baroque’ in its grandeur. Find early morning tranquillity among the many temples of Cholon, the city’s Chinatown. This soon gives way to bustle as bird sellers, street barbers, noodle vendors and restaurant owners compete for business. 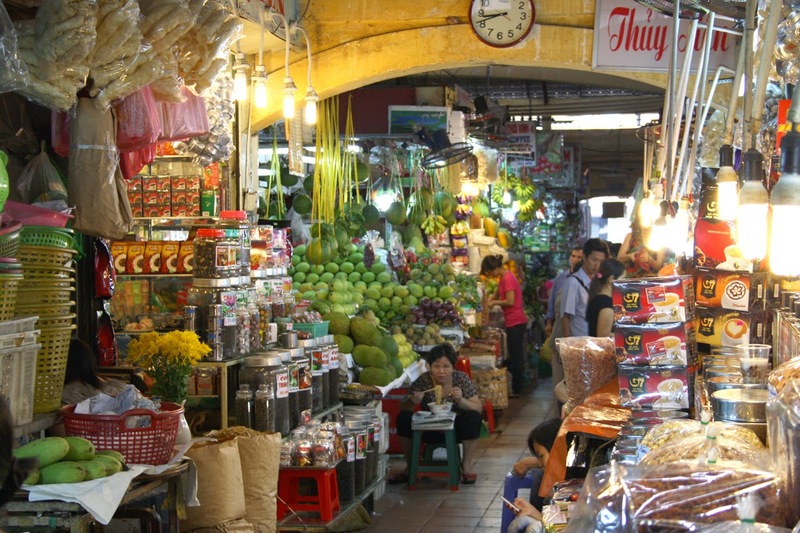 Ben Thanh Market, Ho Chi Minh City. 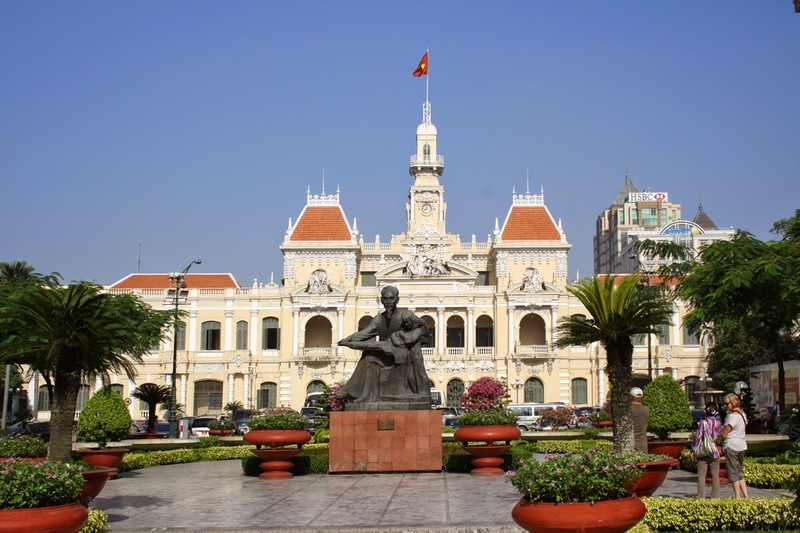 Then stroll around central Ho Chi Minh City for a look at Reunification Hall and colonial Notre Dame cathedral and elegant Post Office building before heading up Le Duan Boulevard, with its graceful villas. It’s confrontational, but the War Remnants Museum – the city’s most popular tourist attraction – bears witness to the horrors of the Vietnam War in its photography, artefacts and searing exhibits. 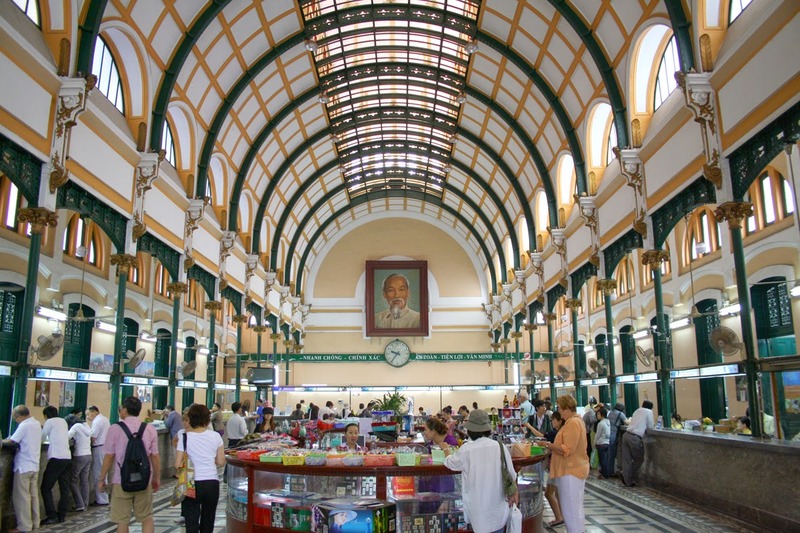 Presided over by a clock tower, Ben Thanh Market offers souvenirs and knock-off fashions galore. You can have banh khoi (pancakes) or pho (noodles) for lunch here, accompanied by pitchers of beer. Finally, refresh your spirit at the Jade Emperor Pagoda, an always-buzzing Cantonese temple with elaborate roofs sporting dragons and birds, carved woodwork and a crowd of colourful gods and goddesses. If you’ve been to Ho Chi Minh City or enjoyed a Mekong River cruise, please add your comments below. Our readers appreciate your tips and memories.